Agriculture tends to be the main employer and income source in many developing countries. Recognizing the value of agriculture for food security and poverty reduction, major donors invest in the agricultural development through the Official Development Assistance or ODA. Of the donors, the Republic of Korea stands out with its historical experience from being a recipient to donor. However, it is not very clear with what criteria Korea would select its recipient countries to disburse its agricultural ODA. Thus, the main objective of this study is to examine a following hypothesis; Korea disburses its agricultural ODA in Asia based on the recipient country’s level of food insecurity. To test the hypothesis, collected data are analyzed and comparisons are made between Korea’s grants-based agricultural ODA disbursements and the status of food insecurity of its major recipients in Asia. Although limited to the grants-based agricultural ODA, the results reveal that distribution of the agricultural ODA across the select recipient countries in Asia does not correspond to their severity of food insecurity. Rather, the least food insecure country or the Philippines received the largest agricultural ODA. 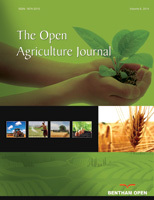 It appears that at least at a recipient-country level, Korea may have other selection criteria for its grants-based agricultural ODA disbursement or more likely consider a combination of underlying factors that combine both Korea’s national interest and a recipient country’s sociopolitical environment. Keywords: Agriculture, Food security, Developing countries, Official development assistance, Poverty reduction, Grants-based agricultural.